*inhales* As I smell my wrist, I can’t help but say omg & inhale with such passion. What makes this this fragrance feel sexier is the fact it is a unisex fragrance. It’s an oriental – floral scented perfume. "Flamenco is an intense and passionate art ... it's a unique mental state." Let me focus on the design, it reminds of a zippo lighter. 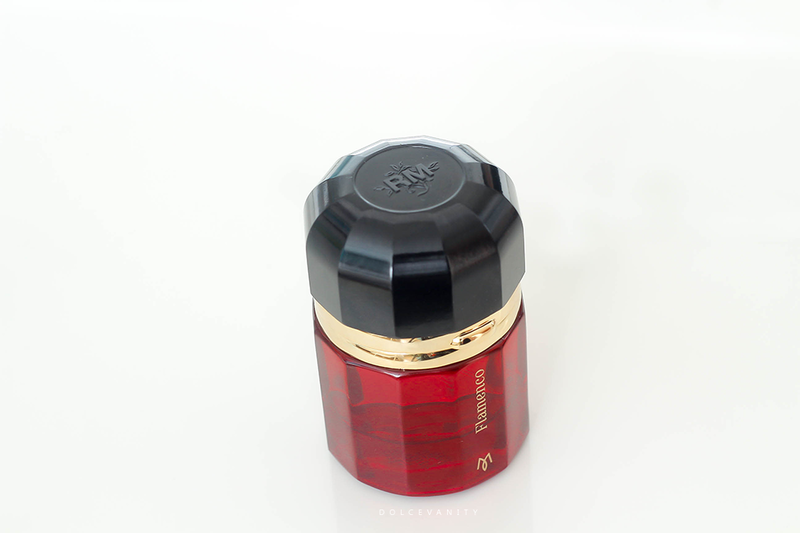 It comes in this deep red bottle, with a gold design around the rim of the bottle and lid, all onto the nozzle head. 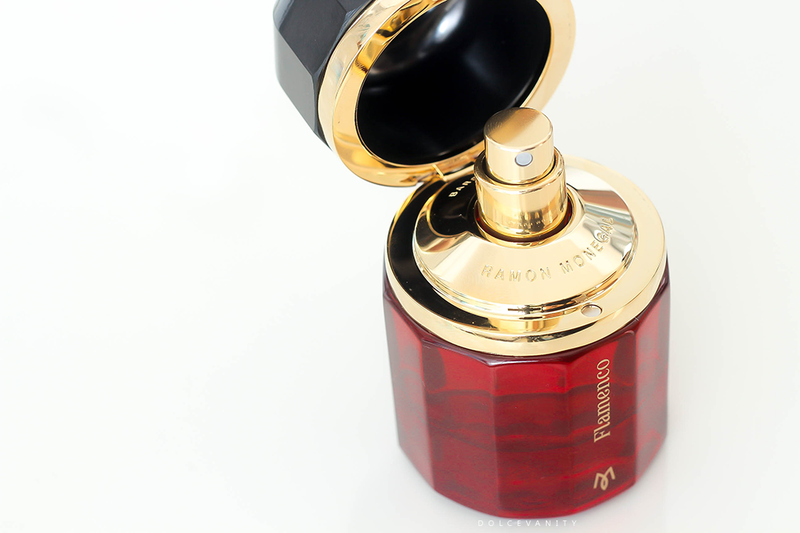 The cap has a ridged black design with the Ramon Monegal logo on the top, the Logo and perfume name is displayed in gold on the front. Base notes: Cedar, Amber, Pine tree and Cypress. Opens with orange blossom right into the Spanish and Bulgarian rose, sensual Jasmine leads the way for violet. What I find that really explodes for me is Raspberry before it settles into a woody - musk blend but I can still smell a slight hint of Raspberry. Which is included alongside Strawberry juxtaposed with Ramon’s unique ‘hormonal attraction of must and a gourmand note – hint of candyfloss and fudge. Looking back on all these components it’s insane how beautifully they work for both sexes. I’ve never tried a unisex blend before but after this I’m never opposed to see how this work with others body chemistry and what notes are brought out. The sillage for this on me surprisingly doesn’t fade for hours, it keeps from 'in the morning until the evening'. One spritz on my wrist is enough to share on both and bring up but I do like to hit the key points. Being that for me this is very high end, it’s a special occasion fragrance, one that I’d wear to make an impression on someone else. 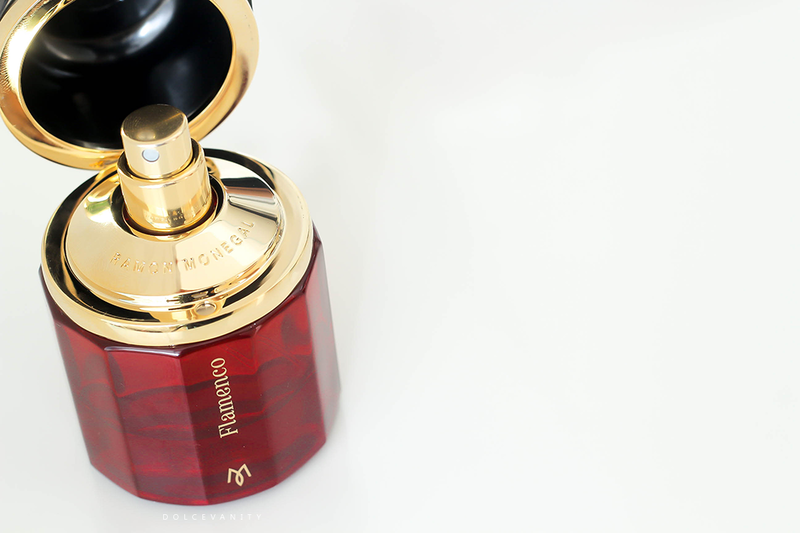 Have you tried Ramon Monegal fragrances before? What are you loving to wear at the moment?